Column wrapping is a technique perfected by Weber using a variety of specialist unidirectional or woven fibre sheets bonded with a strong epoxy glue. Many bridges and buildings have been repaired using this novel technique. Reinforced concrete columns carry and transfer load from beams and slabs down to the foundations of the structure. Additional loads or deterioration of the column can result in overloading of the column, causing buckling and cracking of the columns. Shear cracks can develop when the column is severely overloaded. Bending of the column due to insufficient flexural bending reinforcement. Insufficient shear reinforcement causes structural cracks. 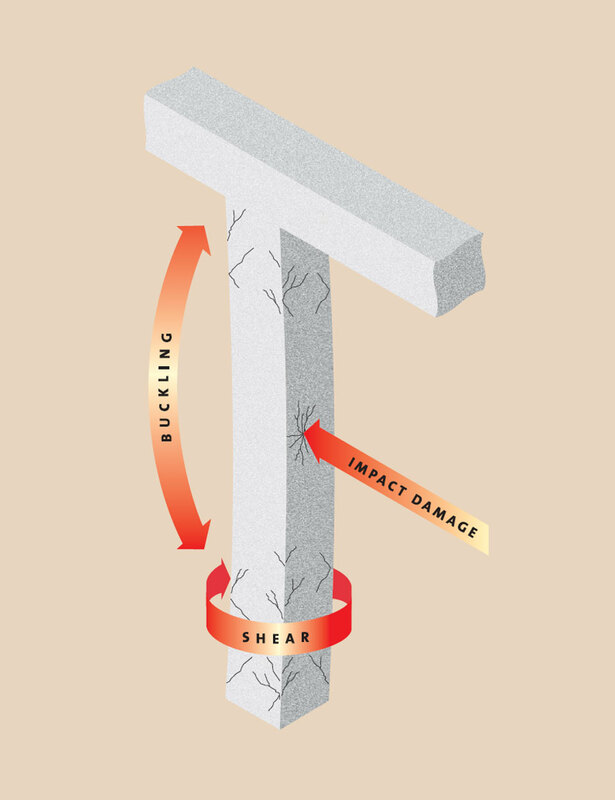 Vehicle strikes, blast impact or physical impact can weaken the structural strength of columns. 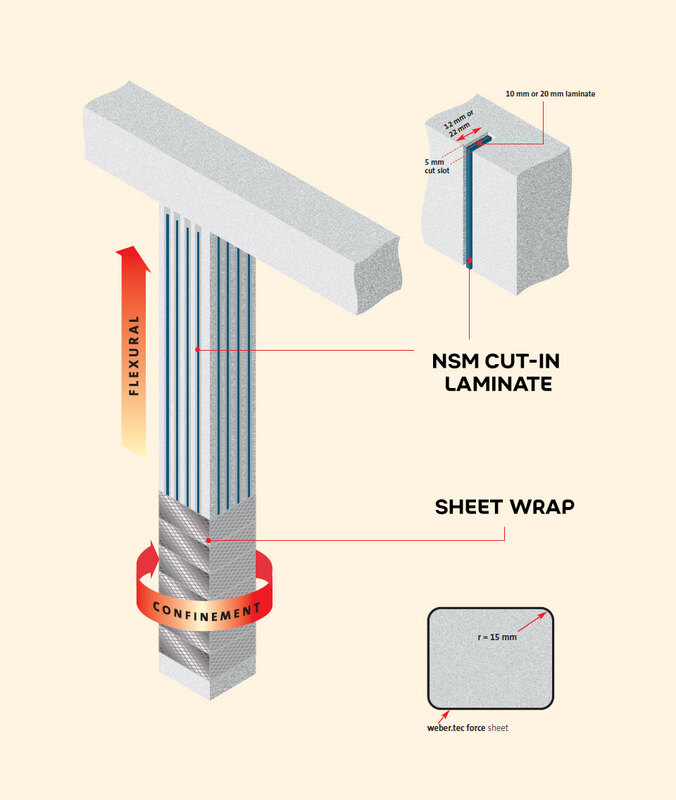 Install manual lamination sheet wrap using either carbon, aramid or glass sheet depending upon the specific design and/or near-surface mounted reinforcement, NSM, cut-in laminates. Slots are cut vertically down the column face and 10mm or 20mm wide carbon fibre plate is glued into position to strengthen against flexural buckling. Use webertec force carbon plate. The edges of the structural member must be rounded by grinding to achieve a minimum radius of 15mm.